At the time of this writing, we’re currently in the World Cup’s round of 16, but we’re not yet done talking soccer games. 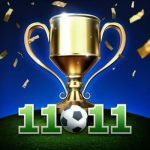 11×11: New Season and Champion Eleven were more about the management side of things, but if you’re looking for a casual arcade soccer game that has a bit more depth than what you’d expect from the category, you’ll want to check out Toon Cup 2018, a new iOS game from Turner Broadcasting System Europe Limited. Yes, that’s right, this is an officially licensed Cartoon Network game from the company that helped bring you Boomerang All Stars, Gumball Super Slime Blitz, and other games to your mobile devices. In here, you can control your favorite Cartoon Network team, meaning you can choose characters from Adventure Time, Ben 10, Powerpuff Girls, Teen Titans Go, We Bare Bears, and other popular CN series. Make sure you’re paying close attention to your stats, but keep a closer eye on the action on the field — you can, and definitely will be pressured or tackled by opponents as you make your way to their goal, but you won’t be alone, as the game does randomly drop power-ups and coins for your team to collect! This is a fun and fast-paced game, but it’s also one that has some depth to it — for example, this isn’t one of those games where everything boils down to your skill, with every character operating the same way and only varying in terms of appearance. As such, we’re giving you eight Toon Cup 2018 tips and tricks that could help you win more games, and subsequently more Toon Cup tournaments, as you guide your country of choice to the top of the tournament rankings! 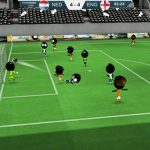 There isn’t much to Toon Cup 2018 as compared to other mobile soccer games. While many games will ask you to choose your starting lineup or 11, and/or choose their formation on the field, this game only asks you to select three players for your team, out of a roster of Cartoon Network characters that have their own unique stats. First, you will be choosing your team captain, followed by your second and third players — so what’s the deal with the stats, anyway? Fortunately for those who don’t like to mull over multiple details when choosing players to start, each of this game’s players has only three stats that you should look at — speed (the blue bar), power (the pink bar), and accuracy (the yellow bar). Some players may be better in one stat over all the others, while there may be players that are more of all-rounders who have very similar stats in all three areas. For example, XLR8 is known for his speed, Cyborg and Buttercup for their power, and Anais for her accuracy. Typically, it’s the main characters from Cartoon Network shows, i.e. Finn of Adventure Time, Ben of Ben 10, etc., who are the all-rounders. When it comes to choosing your team of three, it’s typically not a good idea to focus on a given show. For example, you may be a fan of We Bare Bears, but Grizz, Ice Bear, and Panda are mostly on the mediocre side stat-wise. Likewise, Jake and BMO have rather average numbers for those who prefer Adventure Time. There are, of course, some exceptions, such as the Powerpuff Girls, whose stats place them among the best available players in the game, but there are also other factors to consider, such as their size — as they are among the game’s smallest, that means they’re also easy to tackle if an opponent catches up with them! The main mode in Toon Cup 2018 is Tournament mode, but before you can select a team of three characters, you will first be asked to choose your country. When it comes to modifying your team’s stats, it doesn’t seem to matter which country you choose — you can choose your own home country or that of someone else’s, or you can go with World All Stars if you don’t want to represent any country in particular on the world map. 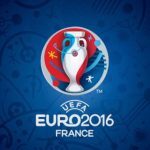 After choosing your country and your lineup, the games will begin as you take part in a tournament of eight, meaning there are three matches you have to win in order to bag the Toon Cup. 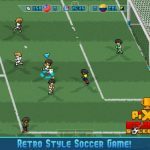 Each match lasts two minutes each, but unlike other games that end the moment you reach a certain number of goals, the two-minute match length is strictly honored. That means you shouldn’t celebrate if you’ve got a 4-0 lead with only 30 seconds having gone by in the match — the other team can still beat you if you don’t take good care of that lead! Tap-and-hold on the blue button to aim your shots and fire away at the opponent’s goal — release your finger right before the pink bar (actually the white bar as it turns pink) hits the blue line, for best chances of scoring a goal. Just make sure you’re doing so at the right place and time! You don’t want to be firing away when someone’s trying to tackle you from behind, after all. There are no interruptions for goal kicks, corner kicks, or penalties, the ball cannot be kicked out of play, and there’s no such thing as receiving a yellow or red card for rough tackling. The only interruptions take place after either team has scored a goal, and as we mentioned, it’s two minutes per match, unless you’re both tied at the end of two minutes. In this case, you’ll move on to “Golden Goal” time, which is an indefinite, sudden-death period where the first team who scores wins the match. When it comes to player control, you will automatically control any player that has the ball at a given moment on offense, or the player closest to the opponent that has the ball when you’re on defense. It’s as simple as that, though that also means this isn’t a game where you can “cheat” on defense by toggling to a player that’s far away from the ball and letting the AI do the dirty work. We talked about every player in Toon Cup 2018 having three stats that sum up how good they can be on the field, but that’s not the only thing you need to consider. There’s also the matter of their size, which determines how easy or how hard it is to tackle them. While the Powerpuff Girls (as mentioned above) may have great stats for the most part, with a lot of the Amazing World of Gumball players being quite quick on their feet or accurate with their shots, their lack of size also makes them easy targets if they run into a bigger defender. But being big isn’t always good, as you may notice if you’ve got at least one We Bare Bears character on your team. Larger characters are often slower, which means they too could be dispossessed when tackled by a smaller, faster defender. In short, things do sort-of balance out, if you consider how smaller players can be tackled due to their lack of size, and how the larger ones can be tackled due to their lack of speed. But it’s all about studying the situation at hand, and knowing when to pass off to another player or when to head straight to the goal. If you lose a match, the game will suggest that you go for the blue boxes the next time around to increase your chances of winning. That’s because those blue boxes contain power-ups that allow you to improve your odds of scoring a goal — depending on the power-up, you may or may not have to have the ball in your possession when collecting it. What do these power-ups do, and what’s in it for you or your opponents? We’d say the most effective power-up is the Freeze, which encases everyone from the opposing side in a block of ice for a few seconds, allowing your players a clear path to the goal without anyone trying to tackle you. (Of course, that’s assuming you’re quick enough!) The Shrinkatron also affects all opponents, this time by shrinking them into a tenth or so of their actual size, and so does the Lightning, which stuns all opponents for a few seconds with a lightning bolt. You can also get Speed Boosts and Shields, which affect individual players, or the ones who specifically collect the power-up — the former gives players some extra speed (quite self-explanatory), while the latter places the player collecting it in a protective bubble for a few seconds, making them impervious from being tackled by an opponent. For each match you win in Toon Cup 2018, you will earn some coins, but there’s another way for you to earn coins in the game aside from winning matches. During a match, you’ll see some brown bags appearing at random points — these are money bags, which contain coins that you can add to your totals, though we wouldn’t always recommend going for them. Naturally, you should chase after the blue boxes as they have power-ups inside, which can help give you an edge over your opponent, but the brown money bags are best ignored unless you’re headed straight in their direction, with no opponent chasing you down for a tackle, or if you froze out all your opponents with a power-up, which also eliminates the possibility of someone tackling you. Earning in-game currency is all well and good, but you can always forego it if it means keeping the ball in your possession until you make it closer to the opponent’s goal. 6. What Can You Use Your Coins For? You’ve probably wondered about this, as coins are Toon Cup 2018’s only form of currency, and the game doesn’t have an in-game shop. As it turns out, there’s only one thing you can purchase here, and that’s unlockable characters. You will be prompted to pay 50 coins each to unlock one of the 16 frames that make up a character’s photo, and this would normally happen after a game. Still, you can tap on the Unlockables tab on the main menu and manually access the menu from there, unlocking any character you wish with the coins you’ve earned. At the moment, there are only three unlockable characters — Four Arms from Ben 10, Bubblegum from Adventure Time, and Robin from Teen Titans Go. That’s all the game has to offer for the moment, but you’ll never know — maybe Cartoon Network will make more characters from The Regular Show, for instance, available via this route? As far as gameplay per se is concerned, there’s not really much relevance when it comes to choosing your country. But if you want to move your home country higher up the rankings in Tournament play, you might as well focus on it and keep on playing and winning as often as you can! Just a word of advisory, however — if you choose a lower-ranked country, you will earn more points for a win, while if you choose a highly-ranked one — for example, Turkey, World All Stars, Egypt, Portugal, and Vietnam are the top five since the game was released, as viewable in the Tournament tab under Leaderboard — you will earn less points. It’s Toon Cup 2018’s way of ensuring parity, so don’t get discouraged if your home country isn’t as high up on the rankings as you hoped! Although you may instinctively choose your best player first, thus making him or her your team captain, it also makes sense to choose a fast AND accurate player as your third player. It would seem that they’re the ones who always assemble for a kickoff after goals are scored, so if you’re the type of player who likes to sprint to the opponent’s goal instead of passing off to somebody else that may be closer, you might as well prioritize speed and accuracy when choosing player #3 for your team. That’s all for now, folks! If you know additional tips or tricks for Toon Cup 2018, don’t hesitate to let us know below in the comment area!